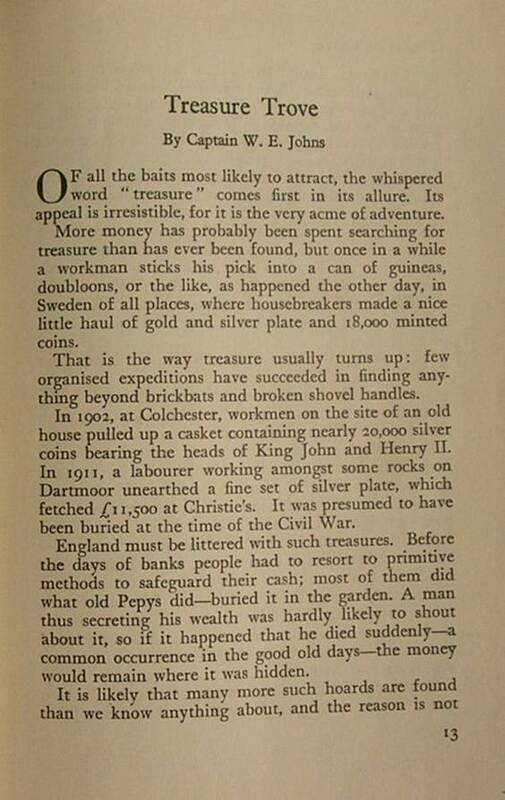 This four page article is written about one of Johns’ favourite subjects – treasure. He makes a couple of references of interest to Biggles fans. He says “Somewhere in the pack ice of the South Polar seas is said to be the ship Starry Crown, with her hold full of Australian gold. 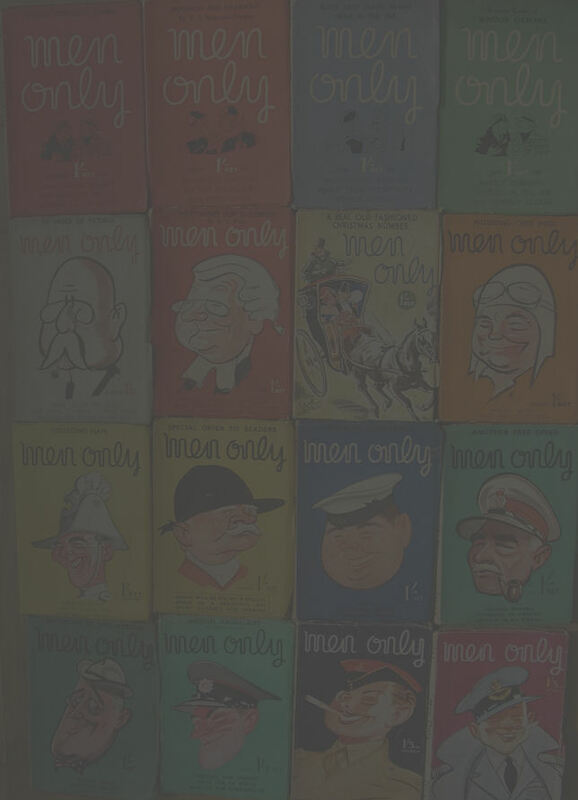 This, of course, was the basis for the 1949 book “Biggles Breaks the Silence” (later reissued in the 1970’s as “Biggles in the Antarctic”). After talking about a number of the world’s reputed treasures that await finding, Johns turns to Scotland. “Nearer home is the great Spanish ship Florencia, at the bottom of Tobermory Bay, off the west coast of Scotland. A few pieces have been recovered from her; I myself have a gold doubloon said to have come from this hulk”. This is a reference to the gold doubloon from “Biggles Flies West”. That story hinges around a “cursed” gold doubloon and the early editions of the book feature photographs of two such coins “in the possession of the author” (click here to view). Johns would appear to be referring to one of these coins.